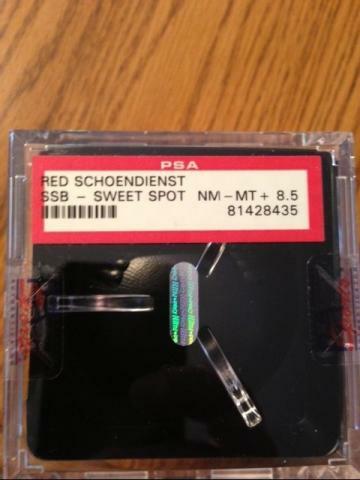 Inducted into the Baseball Hall of Fame in 1989 by the Veteran's Committee, Red Schoendienst not only played 2nd Base for the Cardinals, but also managed the team from 1965 to 1976. 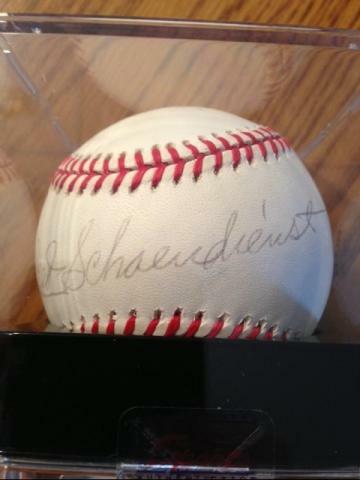 Here is another autographed and inscribed baseball - rated 8.5 out of 10 and in Mint condition - with authentication provided by PSA/DNA. 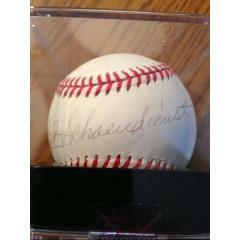 Schoendienst was a 10 time All Star, and a member of 5 World Series Champion teams both as manager and player. This ball will become a fine addition to any Cardinals fan's collection. Due to the rare nature of this ball we will charge your credit card for the full price immediately upon taking your order. This ensures we reserve the ball for you. We will confirm your order by Email. This ball is not game used. Please allow at least 2 weeks for delivery.